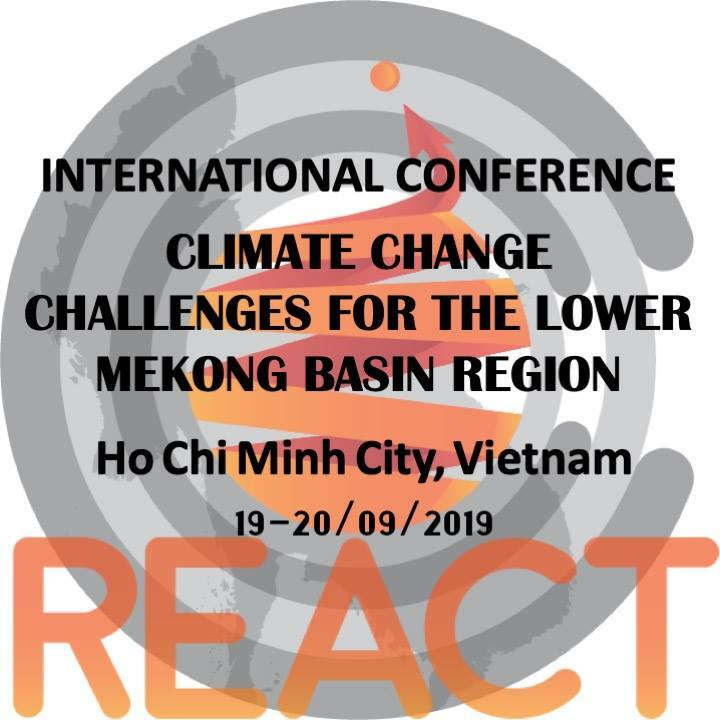 The REACT project and the REACT Network for Climate Change Research and Education in Southeast Asia are organising an International Conference on Climate Change in Ho Chi Minh City from September 19 - 20, 2019. The International Conference CLIMATE CHANGE CHALLENGES FOR THE LOWER MEKONG BASIN REGION: FINDINGS, CRUCIAL PROBLEMS AND LESSONS LEARNED FROM ACTION PLANS TO DATE aims to bring together scholars and researchers of Higher Education and research institutions from the region in order to create a stronger network and foster intraregional collaboration in CC research and innovation. Stakeholders from industry, NGOs, government and other institutions from the region will be invited in order to take part in the discussions of the findings. The goal is to convey and unite the efforts of researchers and stakeholders in order to reflect and build up on the existing knowledge and boost the efforts in CC related research and actions in the region. 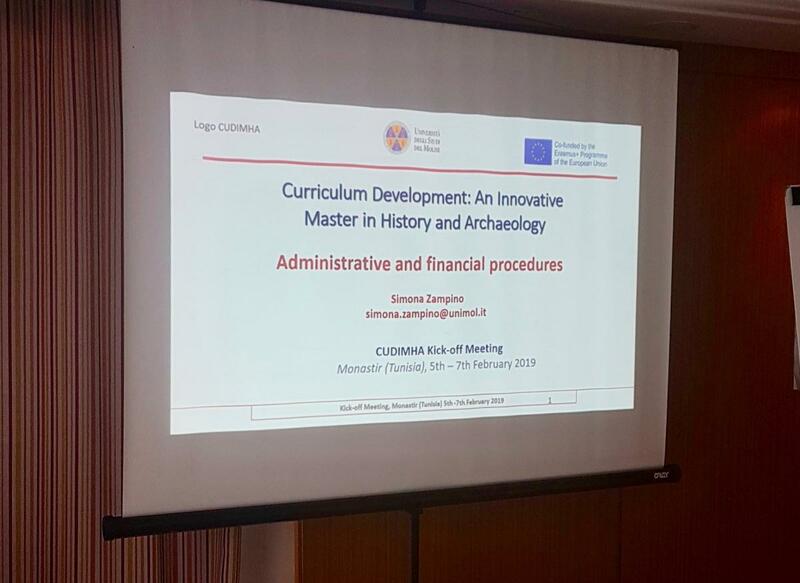 CUDIMHA (CUrriculum Development: an Innovative Master in History and Archaeology) meeting is taking place from April 10th to April 11th, 2019 at the Masaryk university premises, Brno, Czech Republic. This project, co-funded by Erasmus+ programme and coordinated by the University of Molise, aims to develop a new curriculum in the History and Archaeology through the delivery of an ex novo innovative master in the field of History and Archaelogy which will foster modernisation, internationalisation through Tunisian HEIs openness to new teaching and learning methods and European cooperation. On 1st April, a delegation of the China Trademark Association visited the University of Alicante. The meeting was hosted by the International Project Management Office at the University of Alicante City Center Building. During the meeting, the International Project Management Office was presented by Dr. Ester Boldrini, OGPI Deputy Director. Ms Noelia López, OGPI Senior Project Manager, presented the Erasmus+ CIPnet project, a project that is implemented in China to promote the modernisation and harmonisation of Intellectual Property Management practices in the higher education system, with a view to enhance university-industry collaborations and contribute to economic and social development. On March 2019, the II Training of Trainers took place in Zhanjiang (China), organized and hosted by Lingnan Normal University. The Training was attended by more than 60 participants from 14 Chinese Higher Education Instituions. During this training, entittled "Intellectual Property Policies for Universities. The Aim, the Structure and the Content", the participants discussed IP Policies at the Universities, from the general overview of the role and importance of IP Policies to the universities, to the basic content of IP Policies, to the specific issues to be covered by IP Policies. 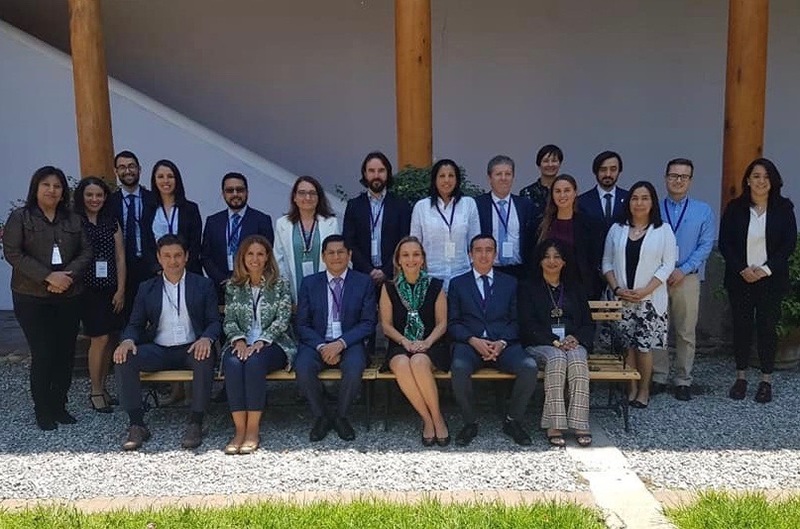 OGPI has participated in two international events on intellectual property issues taking place in Guatemala. Firstly, our experts were invited to participate in an international seminar on Marketing and Communication strategies for IP national offices organized by Spanish Patent and Trademark Office, in collaboration with the Patent and Trademark Office in Guatemala and the Spanish Agency for International Development Cooperation. This 3day seminar that took place in the city of Antigua (Guatemala) congregates national IP offices from different Latin American countries with a common aim: to find new ways for engaging with SMEs and raising awareness about the need of protecting their intellectual property assets before starting to commercialize their products and services. 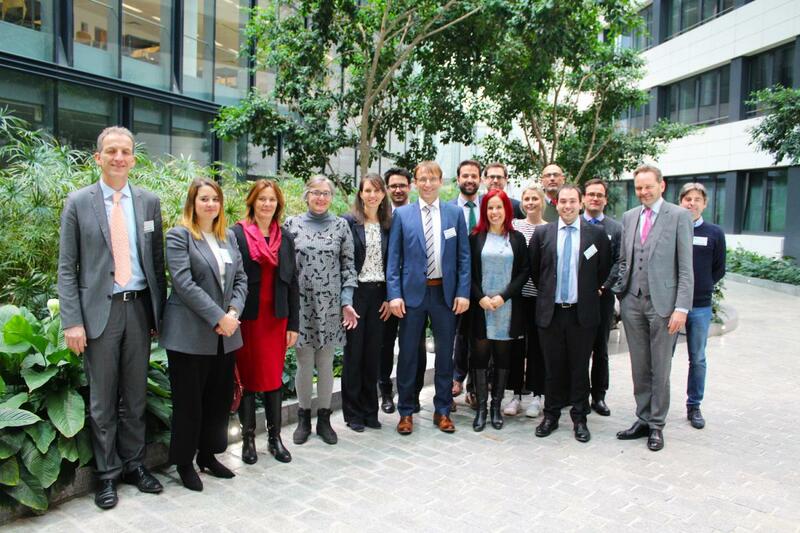 Twenty-two representatives of eight Haitian, Irish and Austrian Higher Education Institutions, members of the EMINENT project, gathered together from 26th February 2019 to 1st March 2019 to celebrate the Kick Off Meeting of the project. EMINENT is a Capacity Building Higher Education project, co-funded by the Erasmus+ Programme of the European Union, which aims to develop Higher Education Quality Assurance Systems in Haiti and in addition extend impact to the Caribbean region. The University of Alicante, relying upon its expertise on international project management and capacity building, coordinates this project “Towards the Enhancement and Harmonisation of HEIs Quality Assurance in Haiti in response to national and International Developments”. After the successful completion of the previous funding period, a new consortium of four partners now takes up its work for the next contractual term of the European Intellectual Property (IP) Helpdesk. Managed by the Executive Agency for Small and Medium-sized Enterprises (EASME) on behalf of the European Commission, the initiative supports cross-border SME and research activities to manage, disseminate and valorise technologies and other IP assets at an EU level. The new consortium receives EUR 3 million funding for an initial period of three years, and will be coordinated by the German SME EURICE – European Research and Project Office GmbH. EURICE has been responsible for the training and communication activities of the service already in the previous three years term. The consortium is completed by the Spanish academic partners University of Alicante and University of Navarra as well as the German technology transfer agency TUM-Tech GmbH. The University of Alicante, through the International Project Management Office (OGPI) and the Department of Prehistory, Archeology, Ancient History, Greek Philology and Latin Philology participates in the CUDIMHA project -Curriculum Development: An Innovative Master in History and Archeology , financed by the European Union under Erasmus + Program. This project will address in the next three years the design of a master's degree related to the dissemination and management of historical and archaeological heritage in Tunisia. This project involves different Tunisian universities (Cartago, SFAX, Gabès and Monastir) in which the master will be implemented during the academic year 2020/2021, as well as universities and European institutions (University of Molisse, International University of Rome, FORMIT-Italy -, Masaryk University -Czech Republic- and University of Alicante -Spain-). 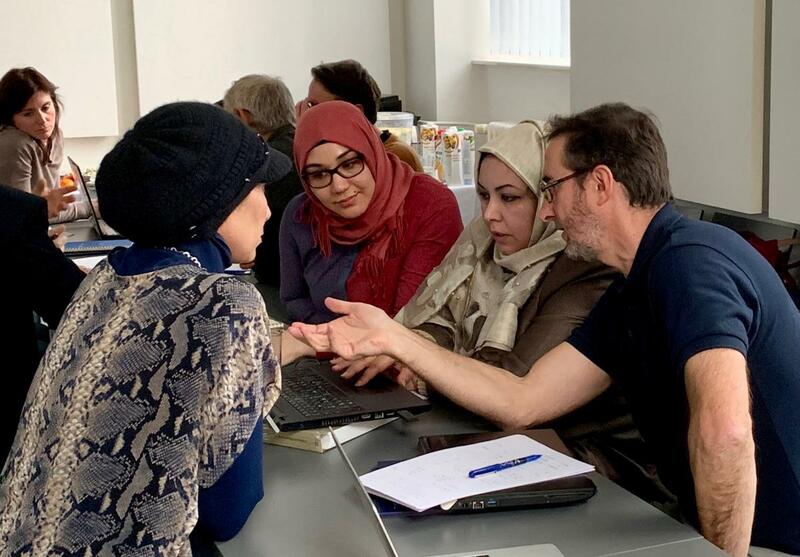 This international cooperation project arises from the interest and need of Tunisia to train professionals capable of valuing and spreading the rich heritage resources that the country has. The University of Alicante participates as a partner in the European Digital Humanist project. This European project, which lasts two years, aims to develop and provide students of careers related to the humanities a set of digital skills and entrepreneurship to innovate and create new products and services for the promotion and access to cultural assets in digital key. The students will have access to the most advanced technologies to generate highly immersive environments, with the aim of supporting the evolution of digital services and their full integration in the cultural heritage sector. 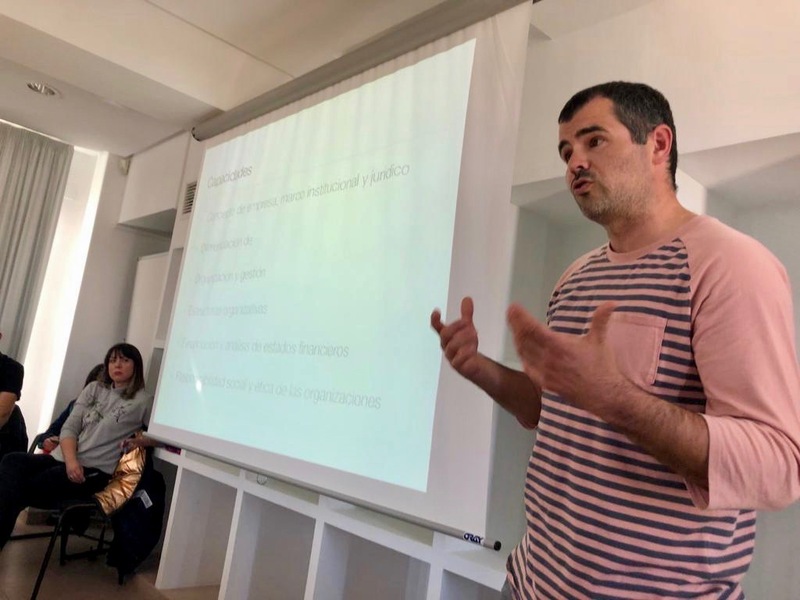 The University of Alicante, a pioneer university in the offer of higher education related to the digital humanities, brings to the project its experience in this field, both at the level of intervention projects (applied in museums and archaeological sites), as well as in teaching. El próximo 30 de Enero se va a llevar a cabo en la Universidad de Alicante un curso de formación sobre Herramientas para la capacitación con personas migradas y refugiadas. 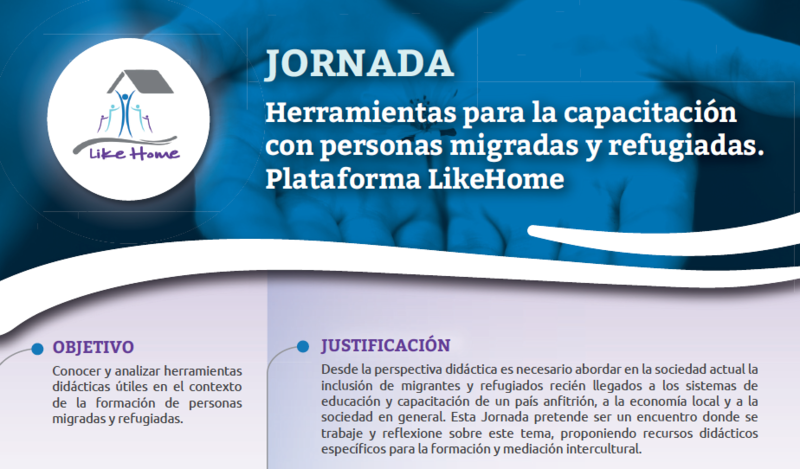 Esta formación está reconocida para la Acreditación como Mediador Intercultural ante la Generalitat Valenciana y se realiza en el contexto del Proyecto Likehome, que intregra a nueve organizaciones de siete países europeos (España, Grecia, Bélgica, Alemania, Suecia, Italia y Austria) y busca fomentar la inclusión de migrantes y refugiados recién llegados a los sistemas de educación del país anfitrión, a la economía local y a la sociedad en general. REACT International Climate Change Conference coming!